Specsavers is the third largest supplier of eye care in the world, with more than 340 stores across Australia and New Zealand. Until recently, the company’s property team relied on a legacy system and spreadsheets to manage store data, making it difficult to streamline and integrate this data with finance procedures. As a result, the payment of property invoices on a monthly basis was inefficient, more susceptible to error and led to the property team not having a complete and precise view of each store’s performance. To tackle these challenges, Specsavers partnered with LeaseEagle. Beginning with a complete data audit, the LeaseEagle Data Services team was able to establish a single source of truth for all property related information, which could be integrated with the finance team’s payment processes. The flow-on benefits of improved data accuracy, more automated and streamlined lease payment processes and complete, mobile access to all property were significant. Specsavers is an established, highly respected international franchise with more than 1500 stores across 10 countries. 338 of these are located throughout Australia and New Zealand and passionately provide best value eye care to everyone, exceeding customer expectations every time. This year, Specsavers Australia won four top awards for excellence—the Australian Retailer Association’s awards for Australian Retailer of the Year and Australian Retail Employer of the Year, and the Franchise Council of Australia’s Established Franchisor of the Year and Excellence in Marketing awards. Previously, Specsavers managed their property portfolio in Australia and New Zealand using a locally installed legacy software application that was not meeting the modern business demands of the company. This application was not user friendly, didn’t offer any mobile capabilities and was not integrated with Specsavers’ financial software. As a result, the Specsavers’ property team operated predominantly using spreadsheets to access portfolio information and business intelligence, inhibiting real time reporting, analysis and property negotiations. Not being able to seamlessly integrate Specsavers’ critical property data with the finance system and processes was also proving inefficient. The time and effort spent to generate, verify and authorise property payments was excessive and critical property portfolio and performance information was held in isolation to occupancy costs. This approach to managing property and finance data made paying 500 property invoices per month a complex, manual task. “It used to take us a full day just to carry out the actual lease payments because we’d have to enter each invoice into a spreadsheet and then import it into our ERP system. From there we’d manually select each landlord invoice and run an individual report using separate reporting software to get a payment file. It was time consuming and reactive. There was room for improvement,” explained Rachelle Barnard, Specsavers’ Support Office Transactions Team Leader. 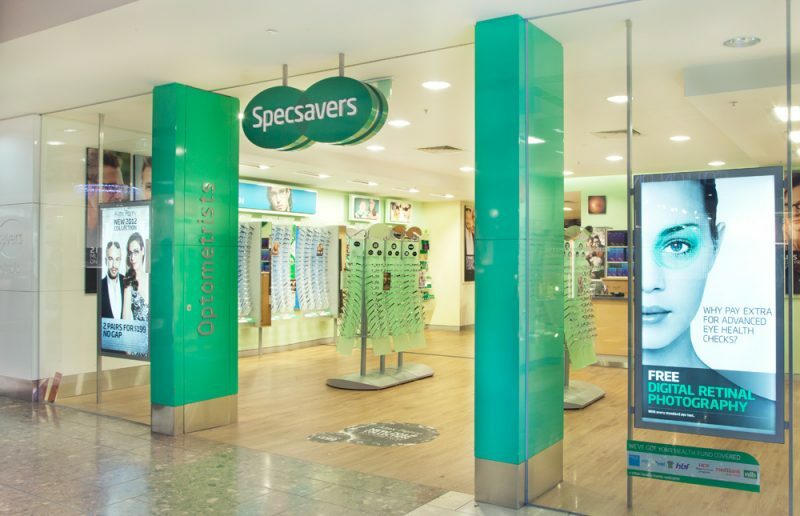 Following the successful deployment and integration of LeaseEagle, Specsavers is looking ahead to implement the LeaseEagle project management module. Mr. Batchelor said, “At the moment we do not have any software capable of effectively managing store expansions, relocations or new builds. We’re currently discussing with LeaseEagle the possibility of deploying and building on the customised project management module, to compliment both the property and finance modules. That’s one of the greatest things about LeaseEagle and its solutions—adaptability and openness to innovation. Like all LeaseEagle customers, we are able to provide feedback and ideas for the product roadmap, and we see them being delivered upon. Give the LeaseEagle team a call today on 1300 887 609 or email marketing@leaseeagle.com to talk about how you can implement a lease management system like Specsavers to get one source of the truth with your portfolio.